Scripture Verse: Sing to the Lord, all the earth! Tell of his salvation from day to day. Declare his glory among the nations (1 Chronicles 16:23–24a). 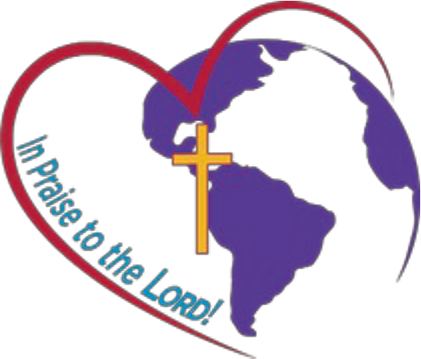 Convention Goal Statement: Led by God’s power, we praise and proclaim the Lord among all the nations. Sing and rejoice in celebration of His Word. Tell of His salvation for all. Declare His glory among the nations. Go forth in His joy! 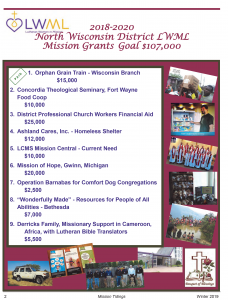 ADDRESS E6433 Wolf River Ct.
© 2019 Lutheran Women's Missionary League of the North Wisconsin District. All Rights Reserved.